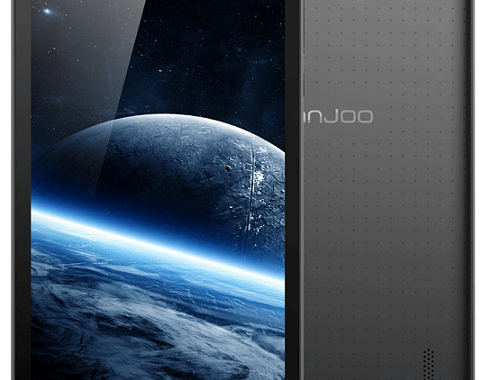 Innjoo F5 Review, Specs and Price in Nigeria: Innjoo F5 as an entry-level Android device, latest flagship in the Innjoo F series of Injoo tablet and the second flagship with 7.0 inch display, is a successor to the Injoo F3. This smartphone device with its features and many capabilities offers decent user experience. The specs and additional features of the android smart-tablet Innjoo F5, give users the benefits of a smartphone and at the same time at a budget-friendly price. Although the Innjoo F5 still shares some specifications with the Innjoo F3, some significant upgrades have been made in the Injoo F5. Some of these upgrades in the latest flagship can be noted in its improved design, RAM, processor, Operating System and its added 3G calling capability. Below are the specifications of Innjoo F5, its price, features and review. The Injoo F5 smart-tablet has a 7.0-inch IPS display with a resolution of 1,024 x 600 pixels and pixel density of 169 PPI. Since this resolution and pixel density of the screen is quite low especially for a tablet, it might affect the quality of images displayed or produced on it, but its portable size screen will still ensure a large enough screen with great wide viewing angles for enjoying movies and games. Giving this device its elegant design is a body that is made of a textured polycarbonate frame with dotted pattern on the rear panel. The dimension of Innjoo F5 is 188 x 107 x 10 mm, and its weight is 272g, both leaving it on a chunky side instead of giving it a light weight. Hopefully, the combined features of its build and design should still make the device comfortable to hold and carry about. The Injoo F5 is available in several colors variants like rose gold, white, black and gold. The Innjoo F5 runs on Android 5.1 Lollipop and is powered by a 1.3 GHz Mediatek Quad-core processor,1GB of RAM and 8GB of internal memory storage that is expandable up to 32GB via microSD. The processor and operating system of the Innjoo F5 can give enhanced performance, ensuring that the tablet runs smoothly without lags and hangs, provide more memory for storing apps and games and satisfy the requirements of the average smartphone user. As with the Injoo F3, one of downsides of this device is its camera specs because it still features a 2MP back camera with LED flash and a 0.3MP VGA front camera. Selfie lovers will be disappointed by this since the camera will not be able to produce quality images. But not to totally write off the dual cameras, Injoo says one can still enjoy high-efficiency video conference and capture memorable moments with them. How else would they sell it? The battery capacity of the Innjoo F5 is 3000mAh and is said to have a low consumption and power-saving technology to enhance the power life . For connectivity, the Innjoo F5 has Dual SIM functionality compatible with 2G and 3G networks, with support for voice calling and text messaging. Other connectivity options include Bluetooth, GPS, micro USB and Wi-Fi 802.11 b/g/n. Although the Innjoo F5 is not yet available in Nigeria, the Price of Innjoo F5 in Nigeria is expected to range from N19,000 to N30,000 when it is available. Also, it can be purchased from reputable online stores in the country when available. Even though the Innjoo F5 has been improved over the Innjoo F3 in terms of a sleekier design, bigger RAM, more powerful processor and improved software, being that it is an upgradable version of the F3, one still expects another significant feature to make up for the poor camera specs that were found on the F3, but on closer inspection, there's none. Thanks to its expandable memory storage, if not an 8GB internal storage on a tablet would've given it another downside. For the price the Injoo F5 is being offered, i still consider it a fair choice for the average smartphone user.